Philip’s willingness to be ready to serve the Lord was later demonstrated in John 6:1-14 when Jesus found Himself being followed by about 5,000 people. Jesus asked Philip where they could buy bread to feed all the people. Philip quickly answered and said that two hundred penny worth of bread would not buy enough for everyone to eat, referring to the fact that there was not enough bread for everyone available. Jesus responded by telling the disciples to have the people sit down while He took five loaves of bread and two fish and blessed the food, which miraculously multiplied into so much food that it took 12 baskets just to gather up the leftovers of the bread. 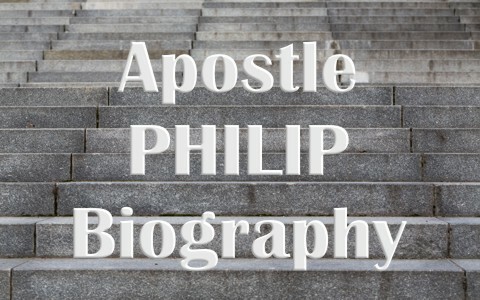 Philip’s willingness to be part of the ministry of Jesus would play itself out many times afterwards in the years to follow while Jesus was on earth and after His ascension. We have no reference in Scripture of what happened to Philip until his death, but tradition tells us that he preached in Phrygia and died in Hierapolis. However, in addition to the things we have already learned about Philip as a brother in Christ and an evangelist, his death is not mentioned because what he did in life to share the gospel with others as an evangelist continues his story into eternity. More about the Apostles: Who Were the 12 Apostles?